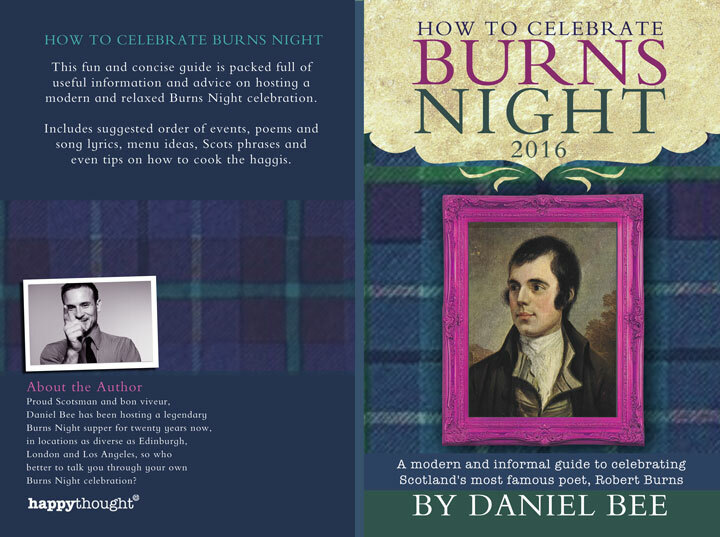 This wee guide book is here to help you create your own celebration. If you are looking for a formal, academic literary introduction to the great works of Burns, I urge you to do so; but this isn’t it. This is a fun re-look at a wonderful chance to bring people together. How many celebrations, of any type, can bring a personal feeling of great warmth, individual and (inter)national identity and pride, have no limits as to location, size, scale and cost, have no direct religious connections and restrictions and are even flexible about date!? Unless I am wrong, Burns Night is unique in this respect. Once the excesses of Hogmanay and New Year’s Day have passed, late January belongs to a Scottish poet and songwriter, Robert Burns, who was born in 1759 and has shaped the world we know today. Burns and his friends’ recognition supper, which started in 1801, is something that I have built a very close connection to in the last 30 years of my life – in many cities, countries and even continents. It’s a true moment to be with friends, family and a fantastic romantic platform for any person wishing to woo a lover (or mischievously try to woo someone else’s!). Burns Suppers have all the ingredients of traditional feasting and celebration but, two hundred and fifty or so years after he was born, the event of a Burns Supper has withstood the test of time and is flexible enough to be relevant in the modern world. If you wish, you can have a traditional Burns supper or, as I really really believe, it can be very open to a modern interpretation that you can tailor and enjoy to suit your own requirements.